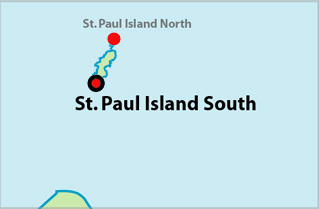 For visitor's information, go to St Paul Lighthouse . St. Pauls Island South Lighthouse has stood for decades near the offices at the Coast Guard Base in Dartmouth, NS. 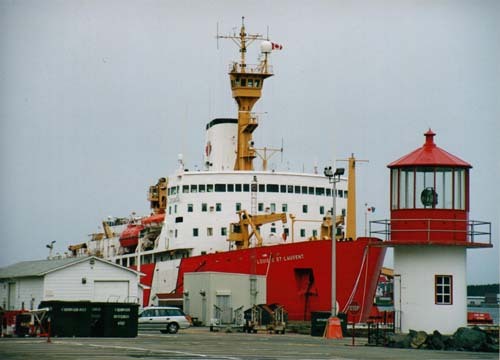 The lighthouse, built of modular metal sections, was removed from the island and has stood at the Coast Guard Base since the mid-1980's. Now, in 2010, the Fisheries Minister has announced that it will be removed, and re-erected at Dingwall, Nova Scotia, on Cape Breton Island. The St. Paul Island Historical Society has been awarded the care of the lighthouse and will open it to the public. 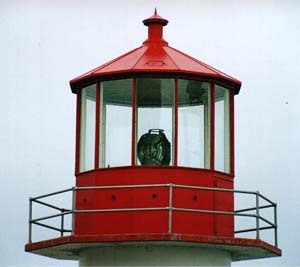 Detail of the lantern and lens of the St. Pauls Island South Lighthouse. 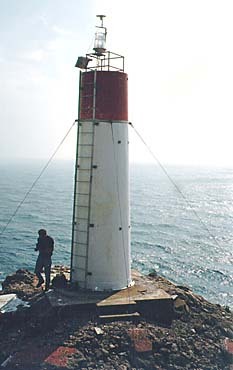 The fiberglass lighthouse at St.Paul Island South Point. A recent view from a CCG helicopter of St. Pauls Island South Light Station. 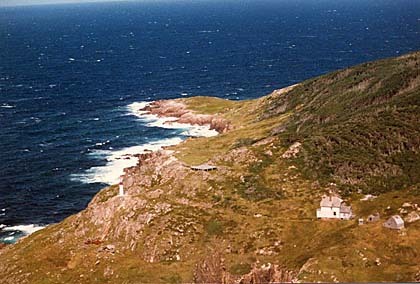 The current fiberglass tower stands on the cliff at the left and the keeper's house and sheds are on the right. Light Height: 150ft feet above water level. Tower Height: 020ft feet high.